When will be Mummies Unwrapped next episode air date? Is Mummies Unwrapped renewed or cancelled? Where to countdown Mummies Unwrapped air dates? Is Mummies Unwrapped worth watching? For centuries, mummies have fascinated, terrified and even enlightened. They not only hold the key to unlocking our ancient past, but also to solving mysteries that have confounded historians for hundreds, even thousands of years. 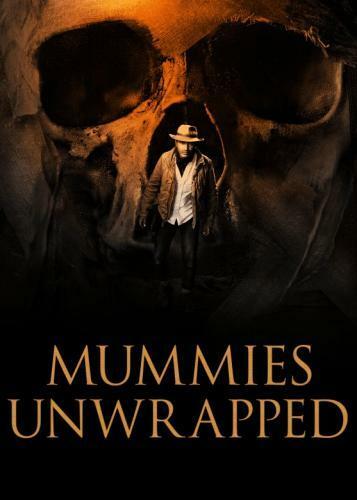 In Mummies Unwrapped, host and acclaimed Egyptologist Ramy Romany expertly guides viewers around the world as he investigates the spellbinding secrets of the most fascinating burial sites, mass graves and ancient tombs on Earth. Mummies Unwrapped next episode air date provides TVMaze for you. EpisoDate.com is your TV show guide to Countdown Mummies Unwrapped Episode Air Dates and to stay in touch with Mummies Unwrapped next episode Air Date and your others favorite TV Shows. Add the shows you like to a "Watchlist" and let the site take it from there.